Today we are heading south of Gillette to Wright! Our listing at 120 Noonan is both residential and income producing. The potential for a return on your investment is huge here. This property sits on 40 acres. There are three homes located on the property, the main house and two rental units. There is also a semi truck pad that can hold 10-12 semis. Rent this space out to truck drivers short on hours or weather delayed! The main home on this property has 4 bedrooms and 2 bathrooms and is 2,184 square feet all on one level. Brimming with rustic charm in the main areas it boasts gorgeous wood and tile flooring in the living room and kitchen. 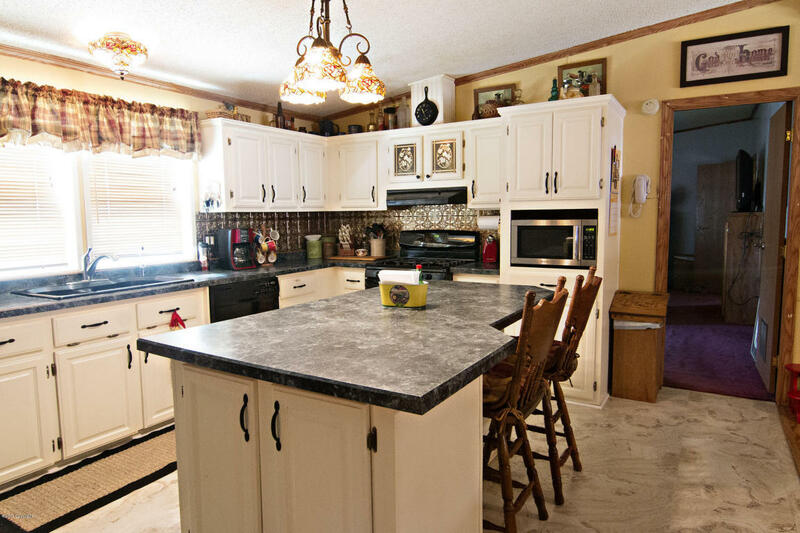 The kitchen is wonderfully laid out and offers plenty of cupboard and counter space! An island separates the space from the dining room and offers extra counter and seating space. The kitchen has gorgeous stamped tin backsplash for that charming rustic feel! The living room in this home is quite large and open! Large windows offer plenty of natural light and expansive views of the open prairie! The bedrooms in this home are all generously sized with large closets. 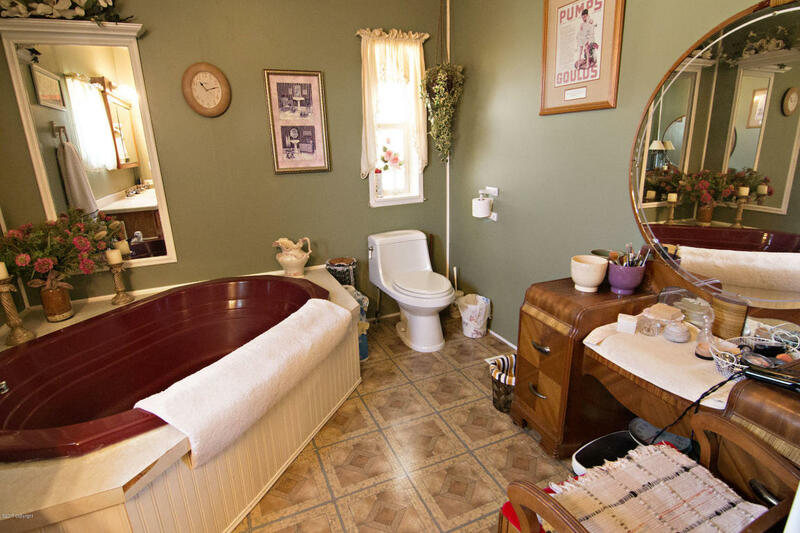 The master bedroom features an en-suite bath with a garden tub and dual sink vanity! A bonus mud room leads to the large covered patio and the fenced back yard perfect for entertaining! 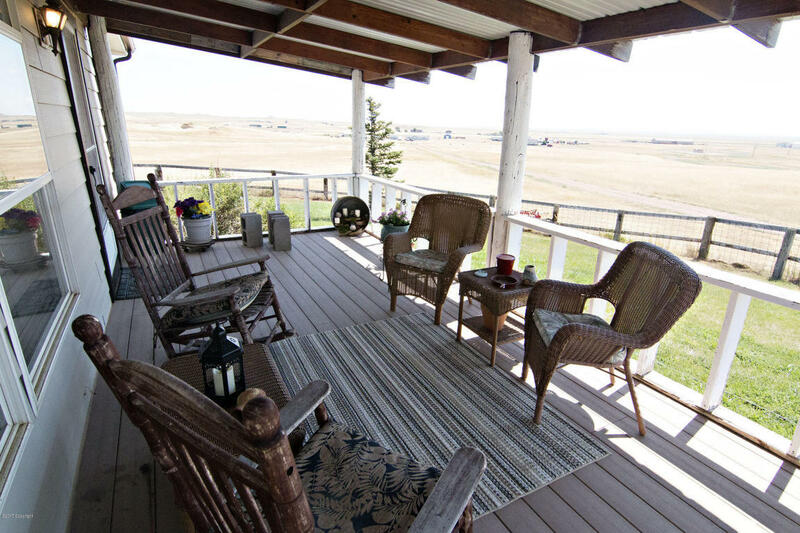 On the front of this home you will find a large covered deck perfect for again enjoying those prairie views! A large shop sits just next to the home through the fenced back yard. Of the two rental units, one is 2 bedroom 1 bathroom and one is 3 bedroom 2 bathroom.